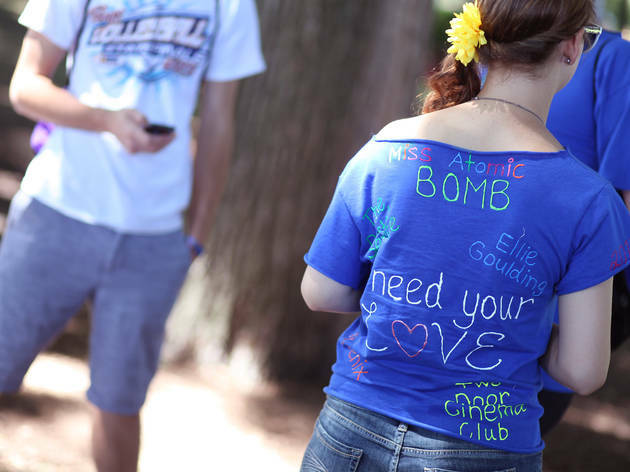 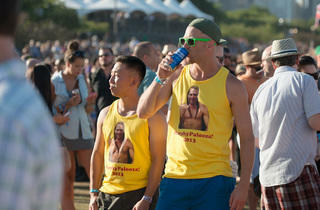 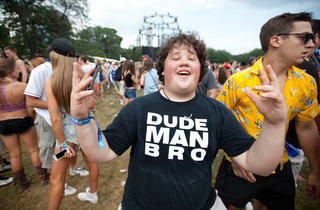 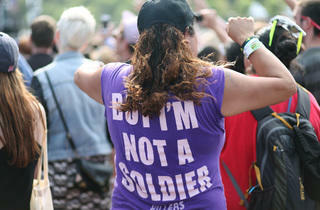 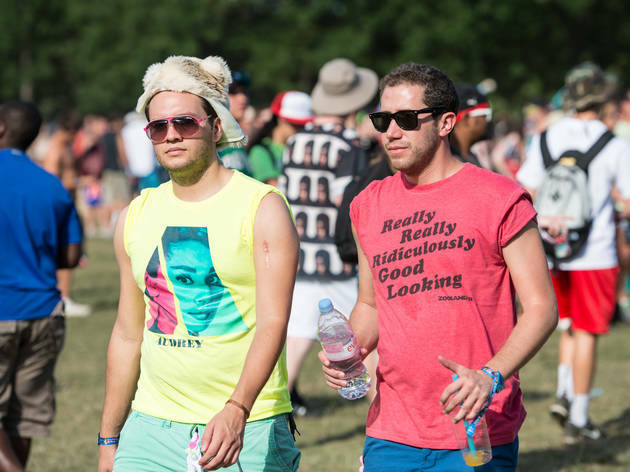 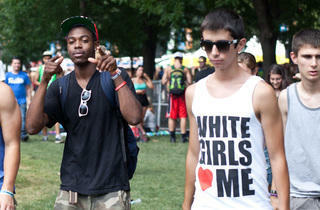 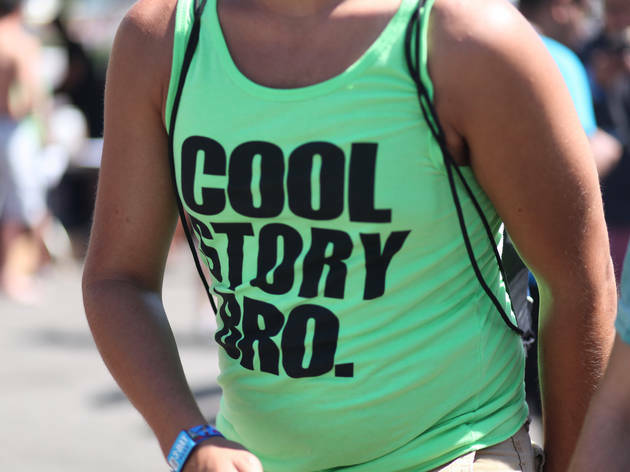 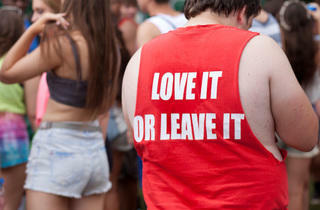 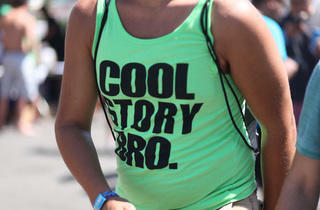 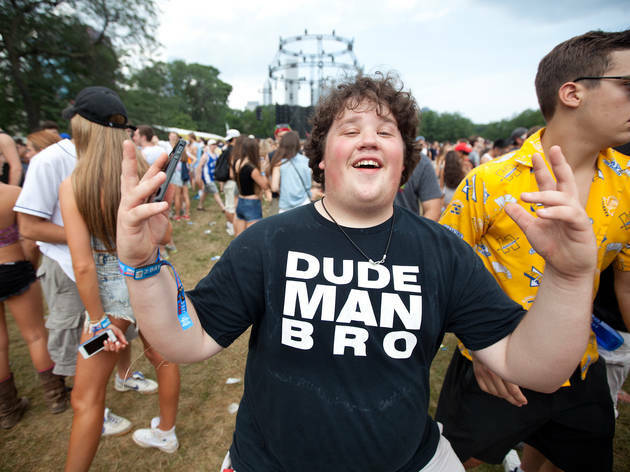 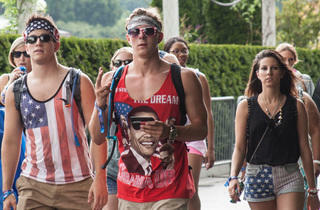 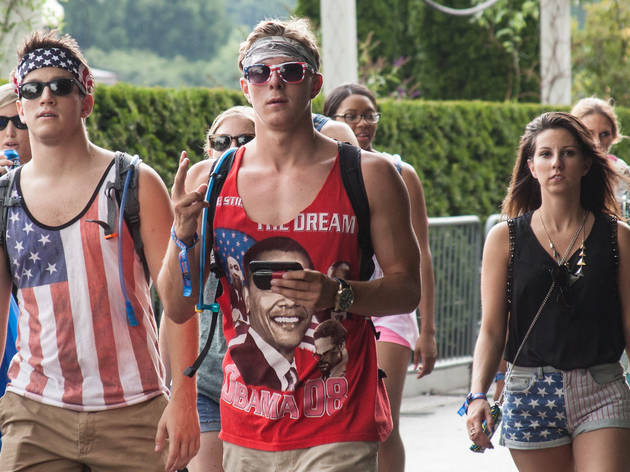 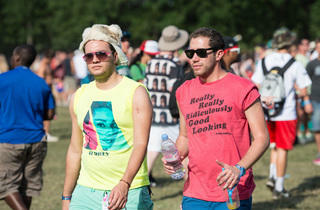 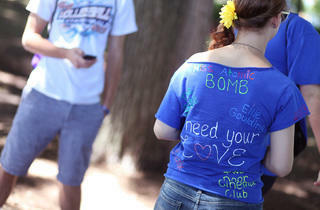 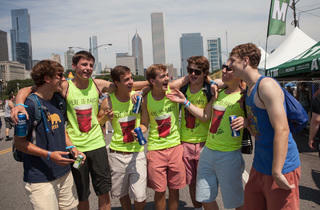 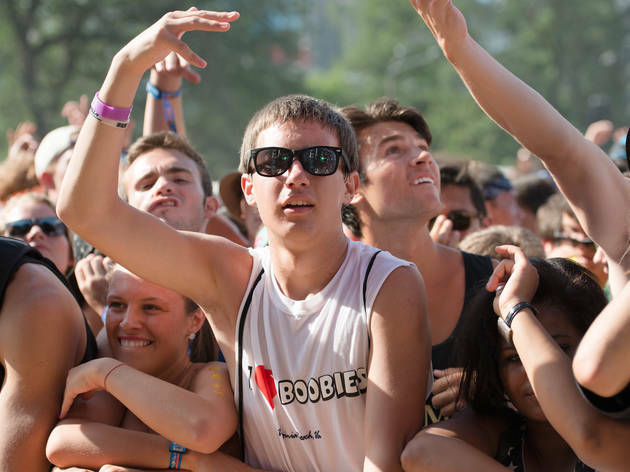 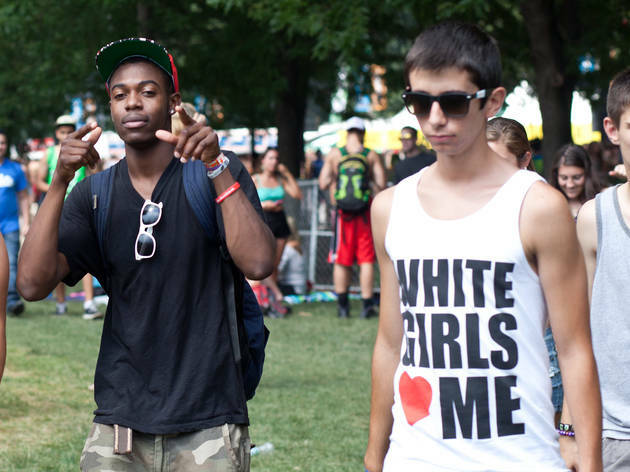 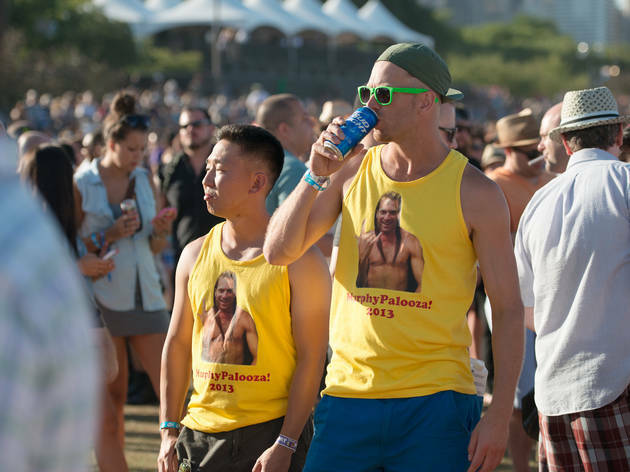 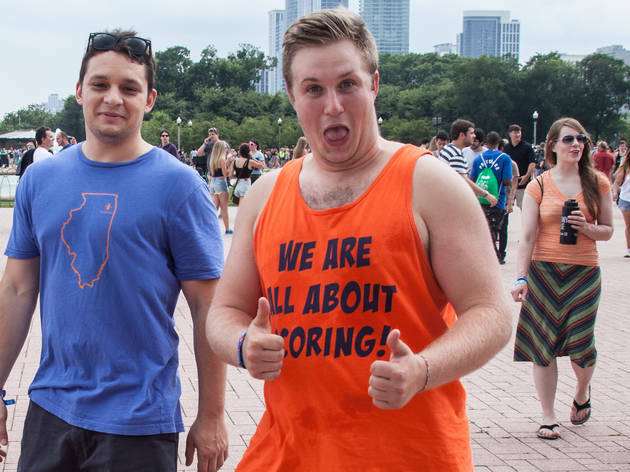 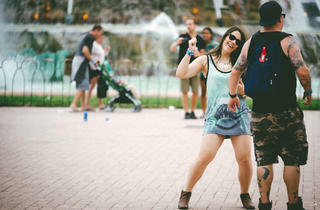 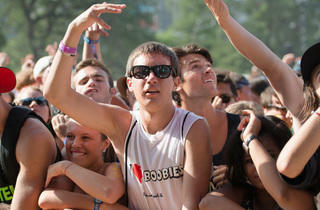 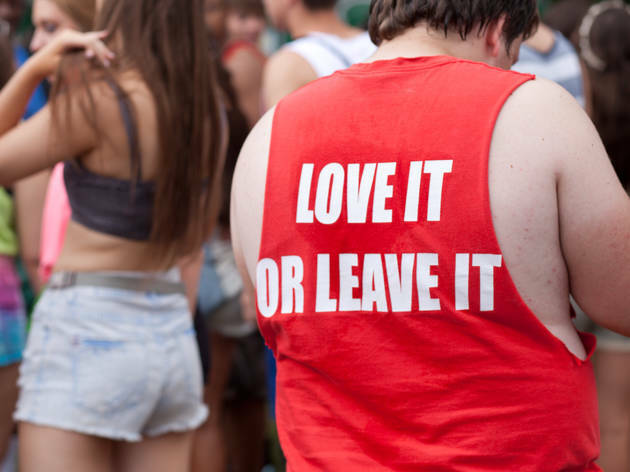 The best of the many T-shirts on display at Lollapalooza 2013. 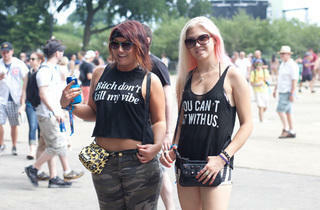 Photograph: Martha WilliamsFestival-goers congregate in Grant Park at Lollapalooza Music Festival 2013 on Friday, August 2nd. 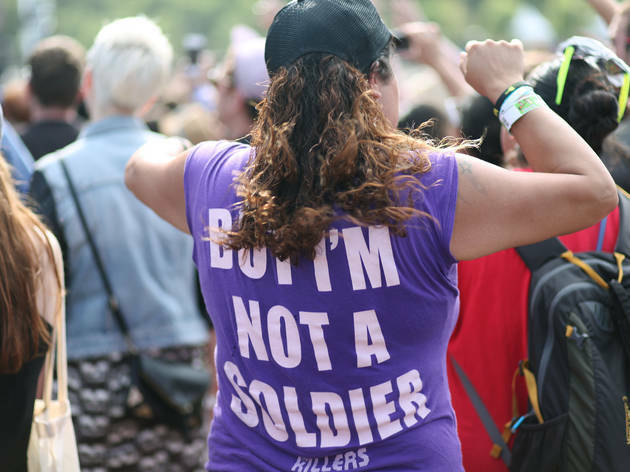 Photograph: Hallie DuesenbergFestival-goers congregate in Grant Park at Lollapalooza Music Festival 2013 on Friday, August 2nd. 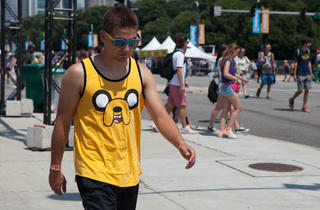 Photograph: Bill WhitmireFestival-goers congregate in Grant Park at Lollapalooza Music Festival 2013 on Friday, August 2nd. 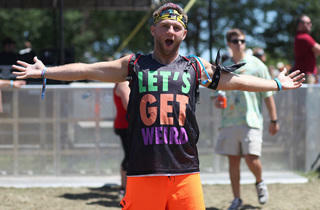 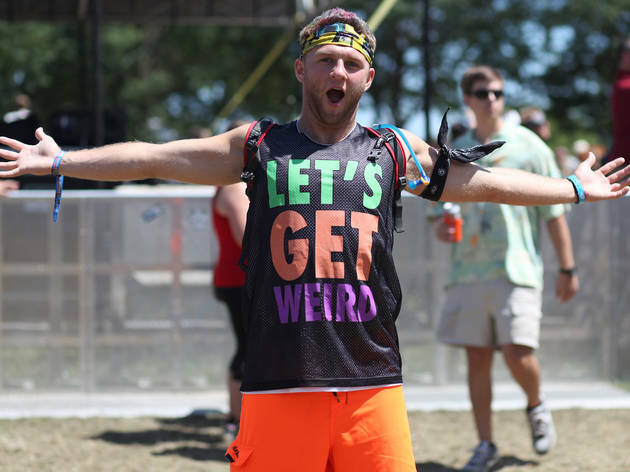 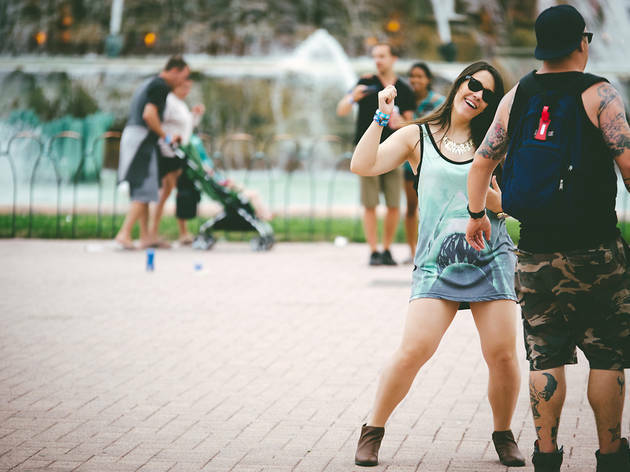 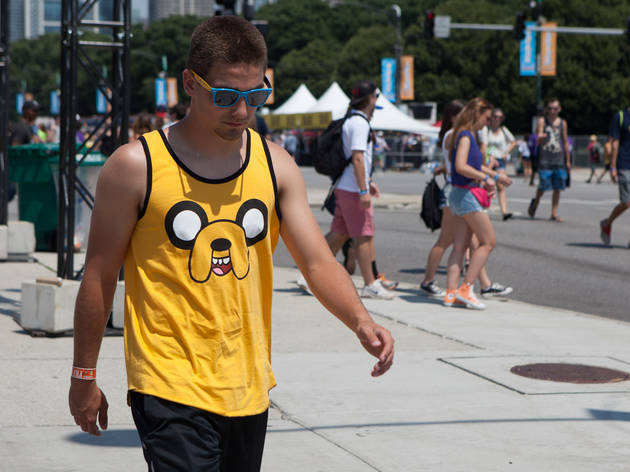 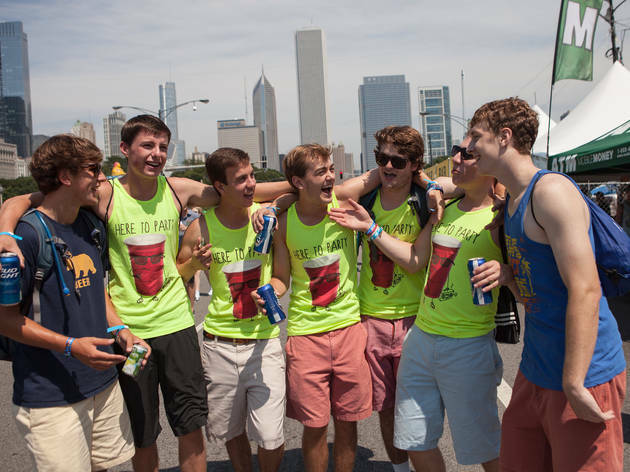 If we had a dollar for every weird outfit or crazy T-shirt we saw at Lollapalooza we'd have enough money to buy platinum passes for next year's fest. 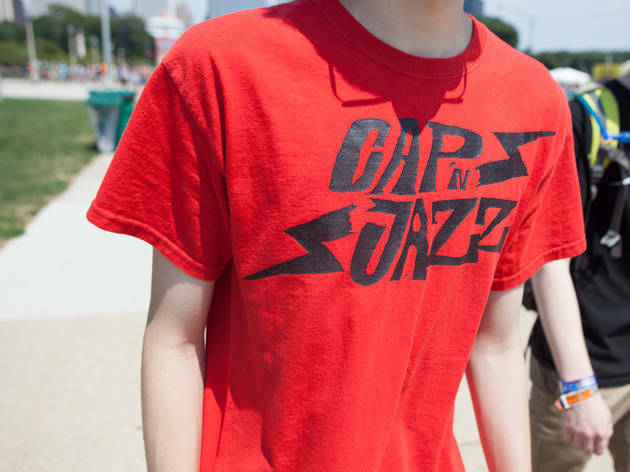 Unfortunately that's not the way the world works, but we did round up some of our favorite shirts in the slideshow above. 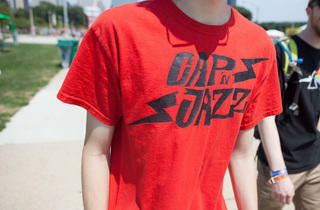 Man, kids from the suburbs sure do love graphic tees.